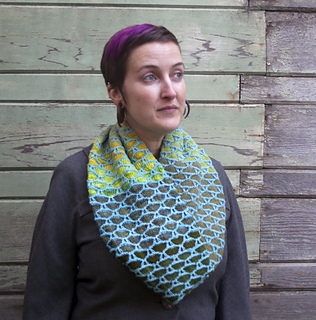 A fine net overlays an ever-changing background in this fun slip-stitch cowl. 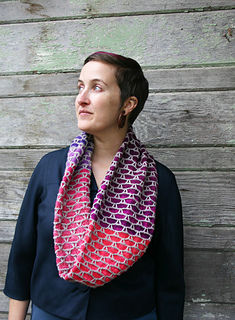 Knit in a tube for cozy warmth and no wrong side, then grafted for a seamless finish, this a nice skill-building project for newer knitters. 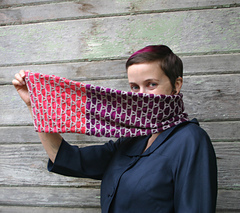 It’s an especially fun to use scrap yarn or mini skeins for the main color, but a gradient yarn would also work well. 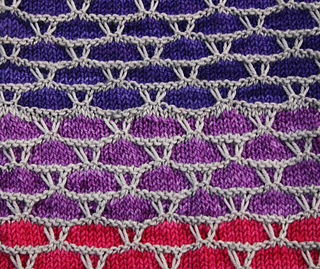 If using scrap yarns, lay them out in a circle to plan your color progression.